Photos by Bill Munther and Jen Henderson, members of FoFPW. The Friends of Foote’s Pond Wood, and the North Jersey History and Genealogy Department of the Morristown and Morris Township Library, recently joined forces to create an exhibit about something many are fond of. 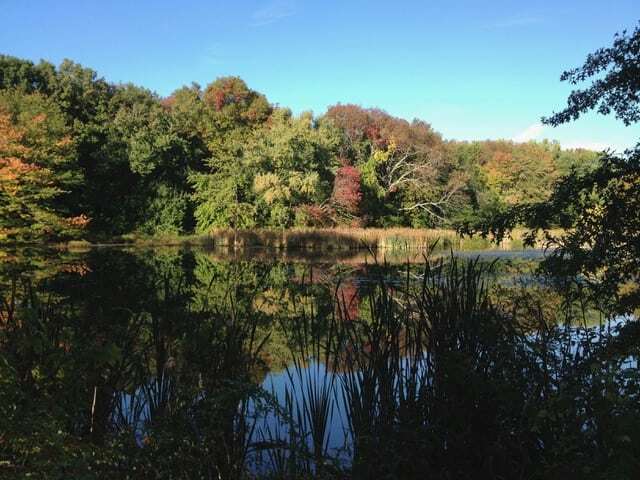 “It’s a pocket wilderness in the city,” says Friends member Susan Landau of 14- acre Foote’s Pond Wood. The exhibit, which is open through August 31, is in the Kirby Gallery on the second floor of the Morristown and Morris Township Library. 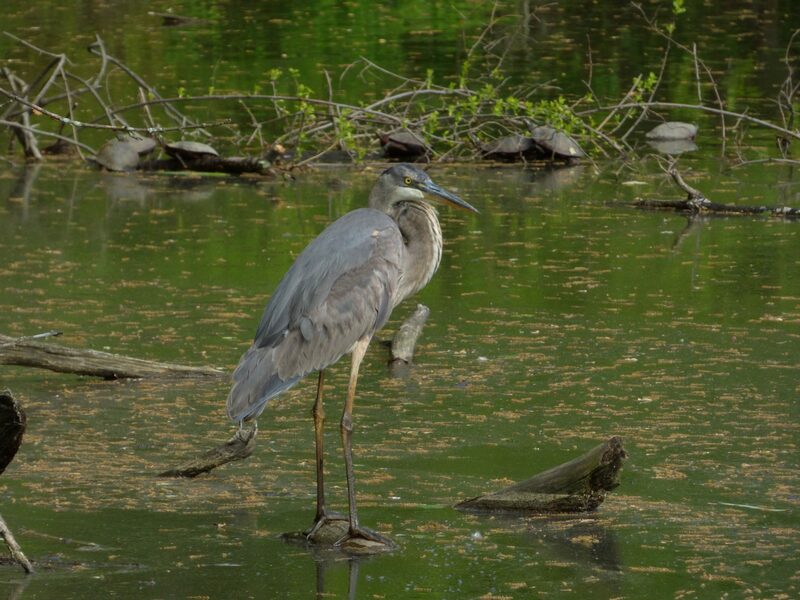 introduction, which lets you know that the park is only a 15-minute walk from the library and there is loads of wildlife activity and that is was important in the general history of Morristown and invites you to visit. The second case is the historical info tracing history from the 1850s to the present. with interesting bits about ice and carp farming. The next three cases are stunning photos of Flora and Fauna taken at the park. Muscrat, heron, egrets, frogs, snakes, ducks, small birds. Discussion for the exhibit was taken up at a FoFPW meeting, and the group then approached the library. FoFPW Ecologist, Bill Munther, will host nature walks at the park, with the next one set for Saturday July 21 at 10:30 a.m.
“He can identify plants that tell its history as farm land, explain the habits, and generally ID any plant or animal, especially birds, that you might want to know about,” adds Landau. Friends of Foote’s Pond Wood, welcomes new members and meet in the library the second Monday of each month at 7 p.m.